- Price drop from 249.99 to 169.99. - Ambassador program for those who bought the 3DS before August with free games. - More info about new 3D games. I have currently downloaded Metroid and Mario from the NES on my 3DS with the ambassador program for free, which prove to be good time killers while I transit downtown for classes. What's new for the 3DS this time around? - FLAME RED 3DS is expected to be released sometime before Christmas for N.A. 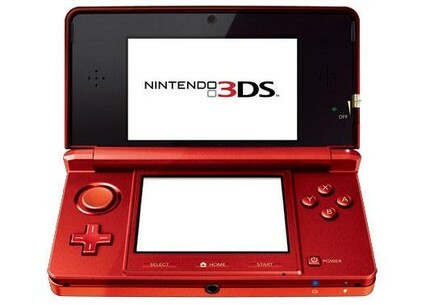 It's just a new colour for the 3DS with no difference in software or pricing. I still prefer my Aqua Blue. - Kingdom Hearts Dream Drop Distance to include Neku from "The World Ends With You" DS game. The game won't be out till spring for Japan and probably summer for N.A but there is no confirmed release date. This is actually catching my attentions as someone who has never played a KH game (due to my dislike for the Disney theme) but I will look more into this. That's it for this month, we'll see if there's any more big news in the coming months nearer Christmas. On a final note for my personal 3DS news, been playing a lot of Pokemon lately and just picked up Devil Survivor Overclocked today and cant wait to start playing.